I guess many have experience this with another sibling. Less serious sisters and more awesome sisters please writers! Well I asked in the last comic about Royal Horse Noises. Guess I get my answer now. 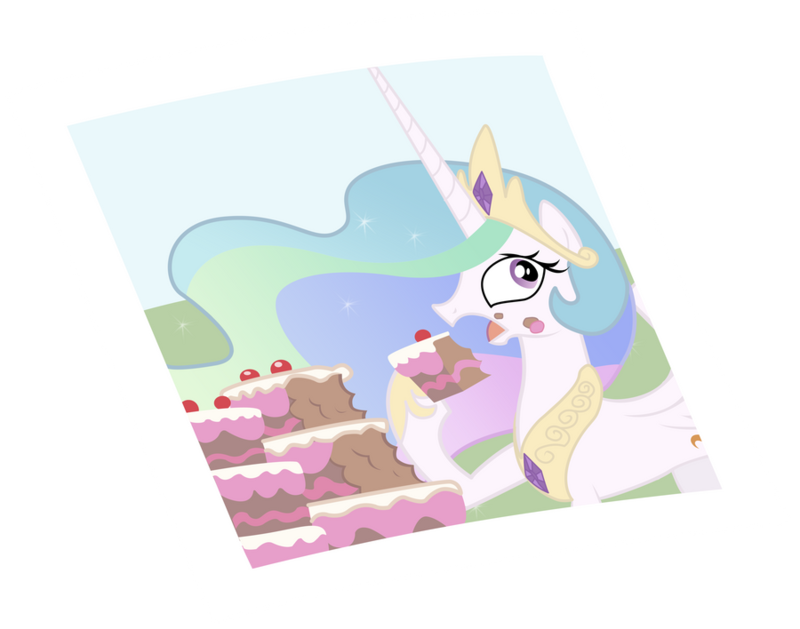 Come on Celestia you are not the most refined of the princess. For the record, I love that face. But it's funnier when Celestia makes it. This looks so familiar... I can't put my hoof on it. Did you based it on something? Hey, the Royal Canterlot Decreeing Pose was great. It's a tragedy it ever fell out of use. Let us sneak out like Spies ! I figured the problem would be that they have learned a lot about dragons over the past thousand years. I'm dying of laughter here! Awkward... But realistic. I've said worse things to my sister in front of her friends. Of course, I regret that now. HAH!! xD Such a mundane little observation, I love it. Twilight and Rarity are all "Nope nope back it up..."
Lol, that was hilarious, I could imagine arguments like this often. Yay, MLP stuff. Living in a big family and you will notice that something will never change ^^. This just make my day happy! I'm crying of happiness right now! I could actually see this happening if they have another Celestia/Luna moment ala Slice of Life. Luna makes that face because she has CLASS, that's why. You don't just rattle off major plot points like you're reading a power point presentation. Put some drama into it! Uh, not that this isn't important, but I think we've got more urgent things to worry abut. AT LEAST SHE'S STILL NOT USING THE ROYAL CANTERLOT VOICE!!!! And I truly did laugh myself into an asthma attack. ROYAL SISTERS OF UNIVERSAL KIND! May we just please uphold whatever the pony's version of Jordan's Principle and help him before you start arguing?! Just back away slowly and don't make eye contact...... I SAID DON'T MAKE EYE CONTACT!!! I can't stop looking! It's like a train wreak.....on a sugar high! This says it all ^^.